Assembling the AeroVee engine is pretty straightforward, but looking back on things, there were difficulties that caused me serious grief. I made notes on everything I felt the assembly manual lacked. My AeroVee assembly manual comments are compiled in word document. Some of the information below was taken from that document. I had a few issues getting my prop hub mated to my crankshaft correctly. Sonex provided great technical support on this, and ultimately assisted in getting the prop hub on. The assembly manual states that parts must be heated to 400 degrees for 30 minutes. Speaking to Jeremy at the factory, he told me that anywhere from 400-500 degrees is good, but verify that the part IS getting hot enough (check your oven). He likes to heat it to 450 degrees. This keeps the hub hot just a bit longer after removing it from the oven. If you don't work fast, you'll have problems, guaranteed. The next problem didn't become apparent until the engine had been run for about 2 hours. When I removed the valve covers and reset the valve lash, two of the valves were way too far off. The gap had opened up to about 1/4"! 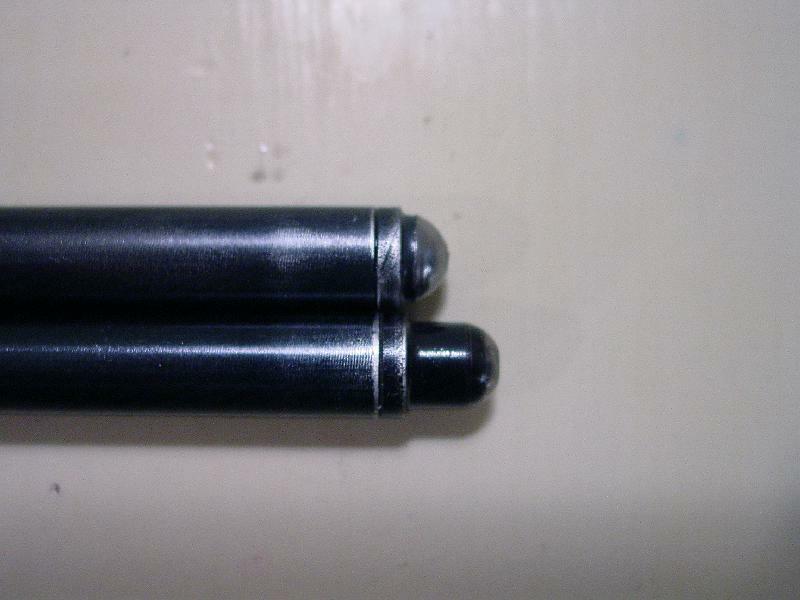 It took a while to realize that there was nothing wrong with the adjuster feet, and that the real problem was that 2 of the pushrod tips were rapidly grinding themselves down. The problem was eventually traced to clogged tips when they were installed. Clogged, not plugged. When I removed them, they were full of oil, and it looked like oil was flowing freely. Apparently, they wer not flowing freely enough. To further complicate things, there was a bunch of ground-up metal running through the engine. I drained the oil, flushed the engine thoroughly, replaced the pushrods, and ran the engine some more. The problem appeared to be solved, but after a few hours I started having an intermitant dead cylinder. The intake valve was sticking on one head, and the cylinder would go dead. The problem came and went, and I went down several dead ends trouble shooting the problem, including replacing that cylinder assembly. In retrospect, I think the ground up metal may have contributed to the problem. Anyway, I changed the valves in the head and the problem didn't return. And finally, to add major insult to injury, due to operator error after an interrupted oil change and a month long family vacation, the engine seized up and had to be totally rebuilt. The good news is that rebuilding your AeroVee really is as inexpensive as Sonex says it is. $1200 later, I had practically a new engine and the new engine has been running pretty well, aside from some ignition timing challenges. From the first flight, I was suffering from concerning engine temperatures. I could barely get around the pattern without the CHTs climbing to 450 degrees. If I adjusted the mixture to run rich in an attempt to run cooler, the engine would run poorly, slobbering and puffing black exhaust, and temps still didn't come down. When Sonex announced their Fence Baffle Kit, I called the same day to order my kit. The baffle kit is pretty nice, and had an immediate effect in bringing temps down. The next few flights showed CHTs to be around 425 in climb, and cruise at about 375-400. Better, but there's still some work to be done. One factor may have been the CHT probe placement. I had placed the ring terminals under the spark plug washers, directly against the head. Sonex recommends placing the ring between the washer and the plug. Other builders have reported temperatures about 30 degrees higher when the ring is under the washer. It's on my list of things to check. Interspersed with the mechanical troubles and the high temperatures I was dealing with, I had a series of ignition problems. Again, troubleshooting these problems was frustrating, and full of dead ends. The first problem started out as an intermittent failure of the magnetron ignition. Eventually, the problem went from intermittent to full time, and the mags quit working. 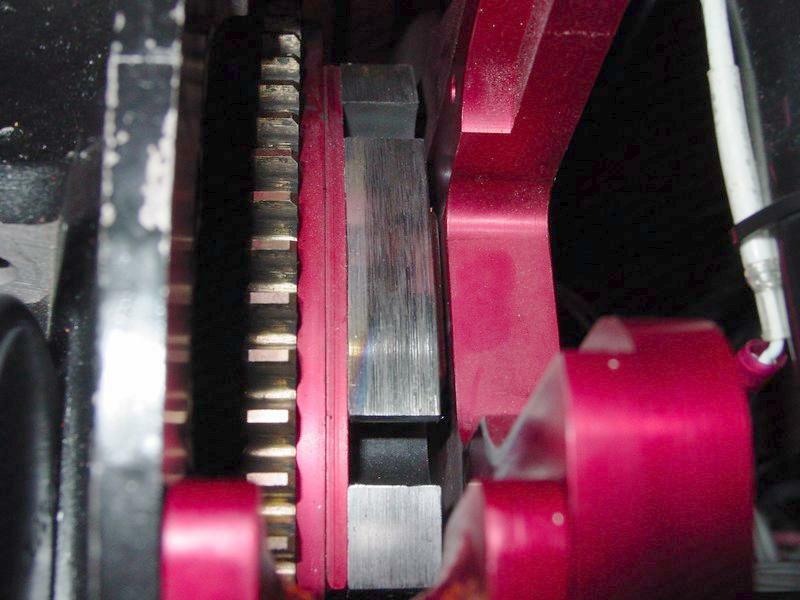 I noticed that the ignition magnet cover plate on the flywheel had scraped along the bottom of the magnetron units. The impact of the cover plate apparently demagnetized the magnet enough to make it ineffective, as well as damaged the magnetron units themselves. Tests revealed the problem was solved after replacing both magnetrons and the magnet. Examining the cover plate showed that one of the cap head screw holding the cover plate in position was slightly loose, and evidently allowed a miniscule amount of movement in the cover. As the flywheel spun up to full engine RPM, the force acting radially outward on the cover caused it to flex into the path of the magnetrons. 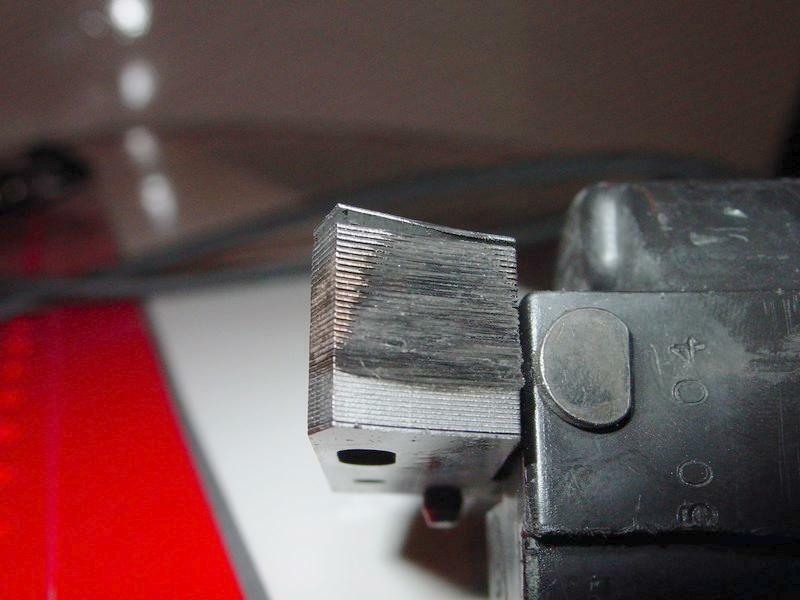 The problem only occurred at high engine speeds, and the 0.010 shim space was verified several times during the troubleshooting process. Lesson Learned: locktight and tighten these screws. With the new magnetrons and magnet installed, the mags were finally running smoothly. However, the secondary ignition timing was off. Kerry sent me the timing instructions from the revised AeroVee manual, and that got me close. But the timing was still not correct, and I worked on a better timing solution.